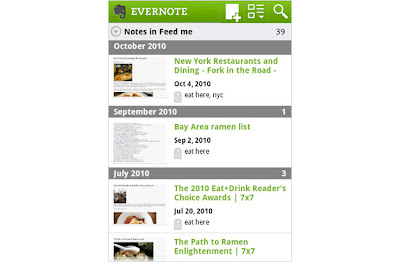 Evernote for Android has been steadily improving ever since it was released in 2009. But the latest Evernote for Android 3.0 update dwarfs them all in terms of the sheer amount of features it brings with it. Evernote is basically a simple note taking application that lets you create notes online easily and sync it with several devices. The latest iteration of Evernote for Android comes with a number of major new features and improvements. Following are some of them. Whenever someone shares a notebook with you, you can choose to link it to your account. The new Evernote for Android even lets you browse through any of these shared notebooks. Features like Mobile collaboration is activated for premium subscribers. With Evernote for Android 3.0, you can now quickly and easily post any single note to Facebook or share the note with other apps (including Twitter), right from your Android phone. If you have GPS-enabled on your device, then Evernote will capture your location whenever you create a note–that’s been the case for some time. 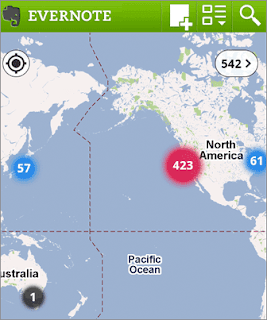 Now, you can see all of those notes on a map. In addition to mapping your notes, you can also add location data to existing notes. 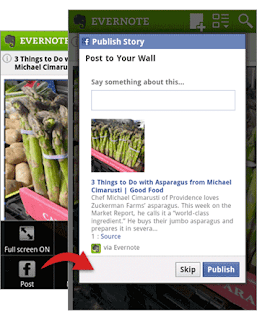 The other new features include a new PIN lock and a complete makeover of Evernote widget. Watch the video below for a quick walk through of new features in Evernote for Android 3.0. In the look out for a good Android tablet? Our collection of top Android tablets for 2011 might be of real help to you. Thanks for reading.